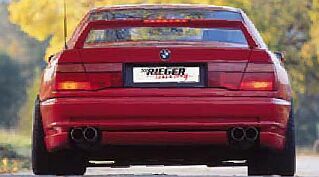 Rieger Tuning offers combination of German ingenuity and design excellence to produce elegant aerodynamics tuning for BMW E31, 8 Series. Made in Germany. TUV quality approved. Global Autoshop exclusively carry full line of Rieger Tuning body kits. Please contact us for more information.